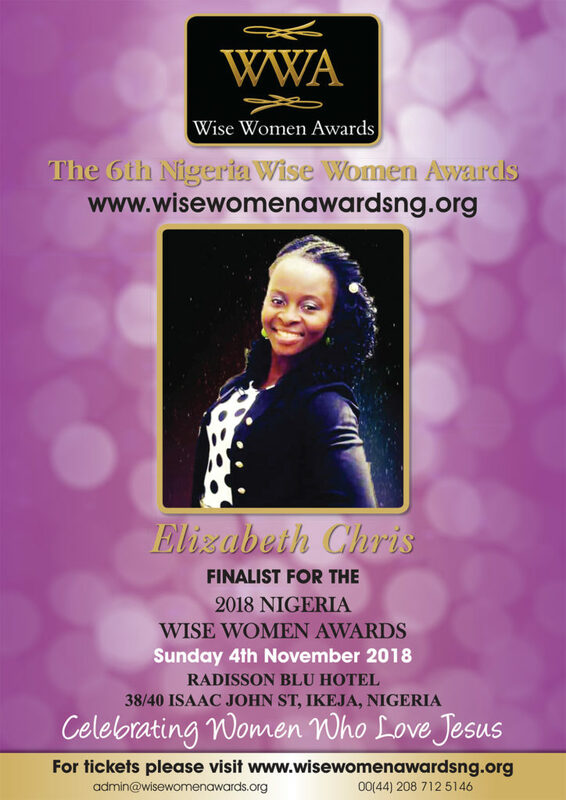 Mrs Elizabeth Chris Nnawuihe is the leader of De Virtue Worship Dancers, a strictly gospel dance ministry that gives unique expression to worship. She started dancing at a very young age, but founded the Dance ministry at age fifteenth(15) With eight (8) pioneer members. In the past 15years she has trained over 200 worship dancers and has branches in Enugu and Awka. She has a standard dance studio in Port-Harcourt, River State, Nigeria. Her ministry has given many teenagers, youths and young adults hope, direction, training, platform of expression and a future. Mrs Elizabeth fondly called Big Sister has been privileged to minister with her team in several international and local gatherings around Nigeria and abroad like the Feast Of Tabernacle Israel in 2010; The Redeemed Christian Church of God Annual Conventios/Congress at the Redemption Camp in Lagos, Ministers Prayer Network Global Prayer Quake in Rivers and Abia State, Rivers State Christmas Carol, USA, South Africa, Ghana and Cameroon to mention but a few. Big Sister has led her team to win several trophies,like the first RCCG Rivers/Bayelsa Talent Hunt tagged Port-Harcourt SHIFT which they emerged first and won a brand new car. She is a Bsc holder in Environmental Education and Management from University of Calabar. She is married to Evangelist Miracle Chris Nnawuihe, the president of Gospel Evangelists Global Network Inc.